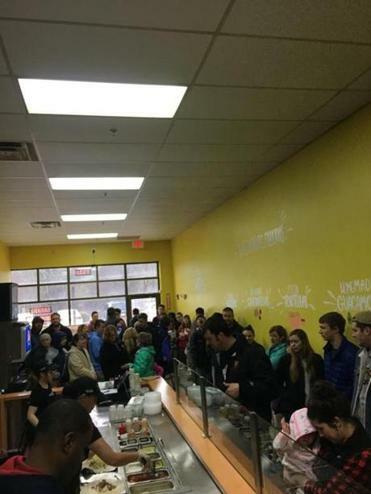 Roxanne&apos;s Taqueria&apos;s grand opening celebration featured $1 burritos. A Mexican food restaurant in Easton recently celebrated its opening with a deal too big to be wrapped up in a tortilla. Roxanne’s Taqueria, located at 3 Roche Bros Way Unit D, sold $1 burritos for an entire day as part of its celebration. Although the restaurant opened a couple of months ago, its owner, Josh Katz, said he decided to hold the grand opening in the spring to “just work the kinks out” and ensure that everything was running smoothly. This is the second Roxanne’s Taqueria; the first is in Stoughton. Both restaurants offer street-style Mexican cuisine such as tacos, quesadillas, burritos, and guacamole, Katz said. Sorelle recently opened in Abington. 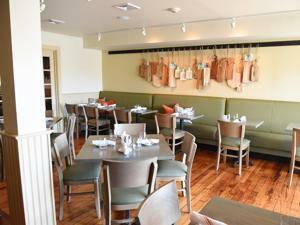 Abington also boasts a new restaurant, Sorelle , which held a soft opening recently. Andrea Schnell, head chef and owner, bought the space at 1400 Bedford St. that most recently housed the restaurant Vin & Eddie’s in September, and renovated it. Sorelle’s modern-Italian menu offerings will vary from homemade pastas and salad to grilled octopus and clams casino. “We are just trying to elevate the dining scene. We are trying to bring a little bit of the city to the South Shore,” Schnell said. An artist cooperative in Hull has renovated its facility space with redecorations and art work. Gallery Nantasket previously shared the space at 121 Nantasket Ave. with a furniture consignment shop but now has it to itself, said Donna Goes, a member of the cooperative. The works of 14 artist members, varying from watercolor and acrylic paintings to photography, are featured in the facility. The cooperative aims “to make it a destination for people to come and buy art and hang out,” Goes said. 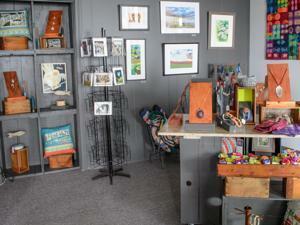 Gallery Nantasket reopened April 1. Gallery Nantasket, in Hull, with new decorations and art work. The state will award $3.1 million to support a housing initiative for the homeless in Brockton. The grant will be awarded to Father Bill’s & MainSpring, a nonprofit working to create 23 housing units for homeless individuals and provide a homelessness relapse prevention services package to individuals, according to a press release from Governor Charlie Baker’s office. The Downtown Center for Community Engagement in Brockton. Brockton-based HarborOne Bank and Stonehill College, in Easton recently hosted a grand opening for the Downtown Center for Community Engagement in Brockton. 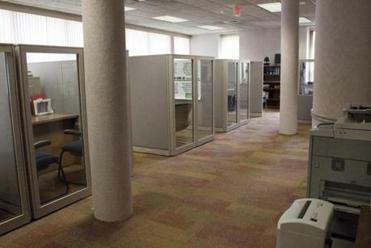 The center, which has been operating for a year now, helps nonprofits and community partners and members connect and work together by offering a work space environment, said Sara Morris, a coordinator for the center. “They are all focused in improving outcomes of the lives of people who live in Brockton,” Morris said. The grand opening featured guest speakers and tours of the facility. Alejandro Serrano can be reached at alejandro.serrano@globe.com. Follow him on Twitter @serrano_alej.